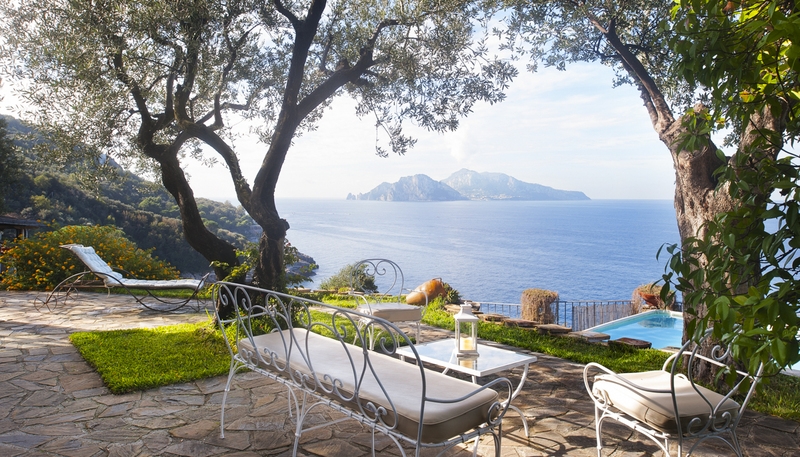 "This Amalfi Coast villa is all about the views, particularly from the swimming pool and hammock that can be found hanging in the property’s pretty garden..." From recent "10 stunning private villas to rent in Europe" feature on "Spectator Life" portal. 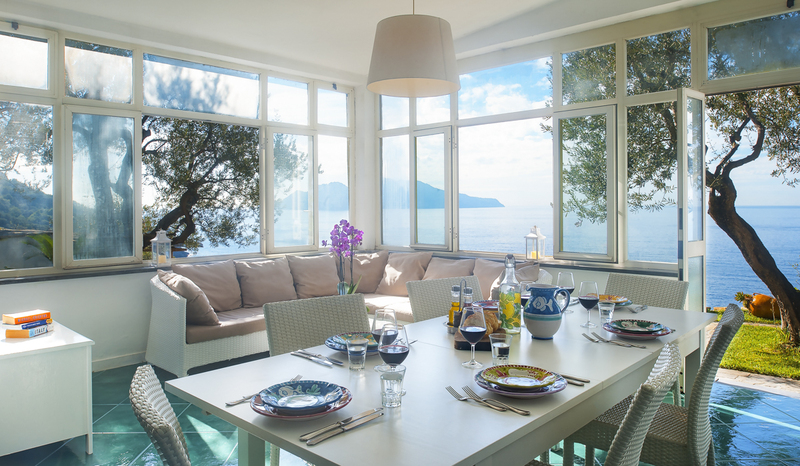 Up to 6 guests can enjoy the best of Italy’s Amalfi Coast at Casa Mari, a house with the most stunning ocean views. 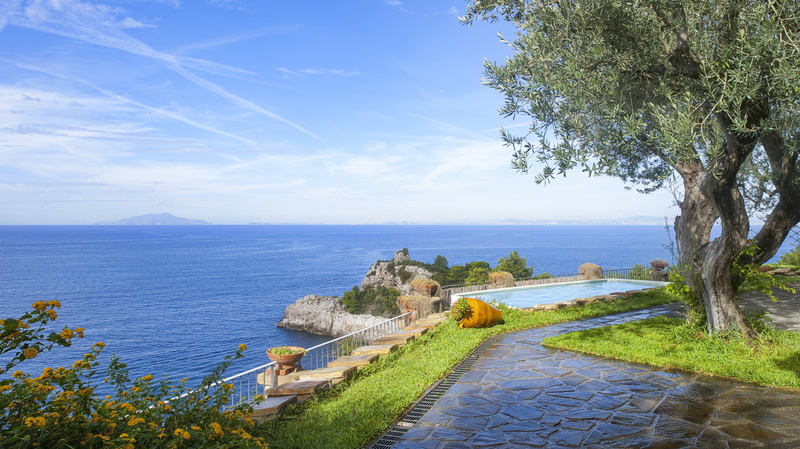 Clad in the cliffs of Marciano village on the western coast of the Sorrento Peninsula, it looks out towards the island of Capri with direct views from its swimming pool and gardens. The pretty garden is one of the highlights of the property, featuring a lovely terrace with sun loungers and a seating area perfect for drinks while watching the sunset. 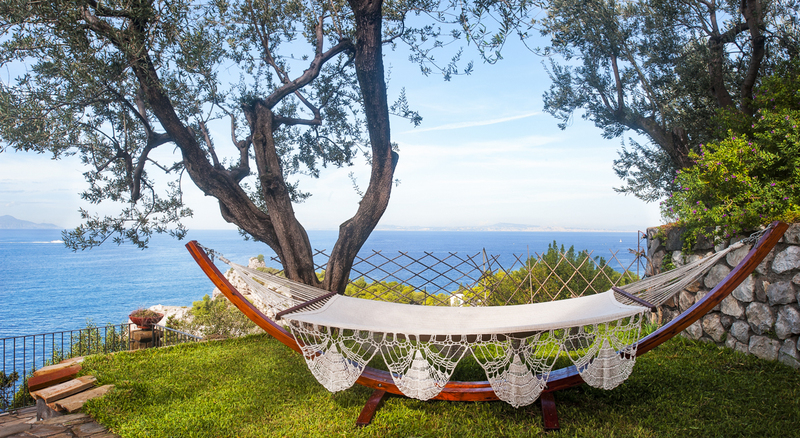 You can laze away the day by bagging yourself the hammock located just beside the free-standing swimming pool. Inside, you will find a beautifully decorated living and dining room with large windows and direct access to the garden. 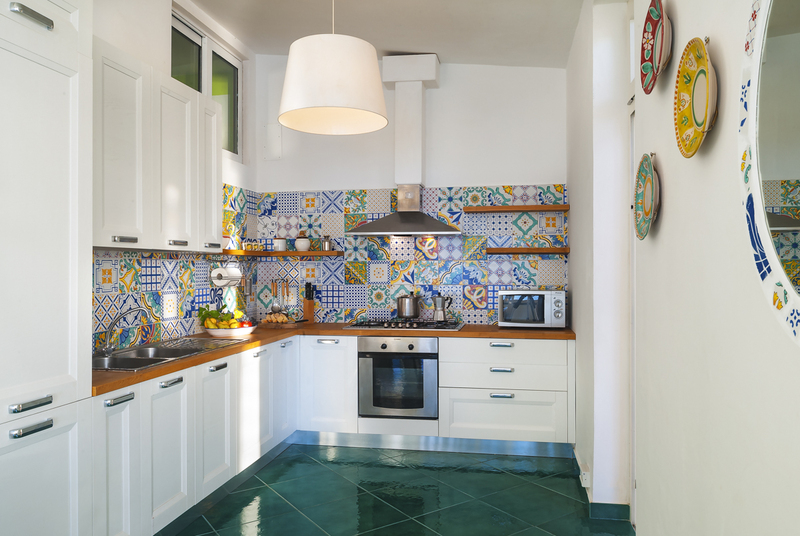 A contemporary kitchen with brightly coloured tiles, sleek white units and a host of appliances makes an inspiring spot to prepare your meals. 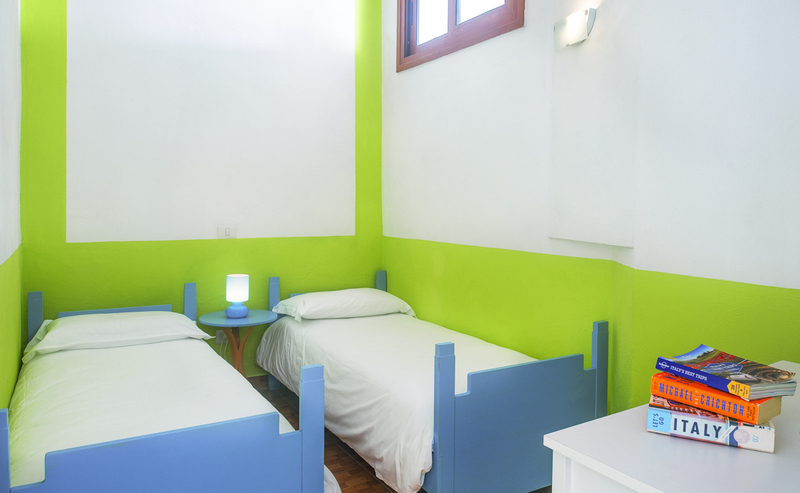 Two double bedrooms also lead straight outside and are complemented by a compact twin bedroom (ideal for kids or teens!) and two bright and modern bathrooms. A shaded covered area outside the house provides another space for relaxing and enjoying the sea view, with garden chairs and a day bed. 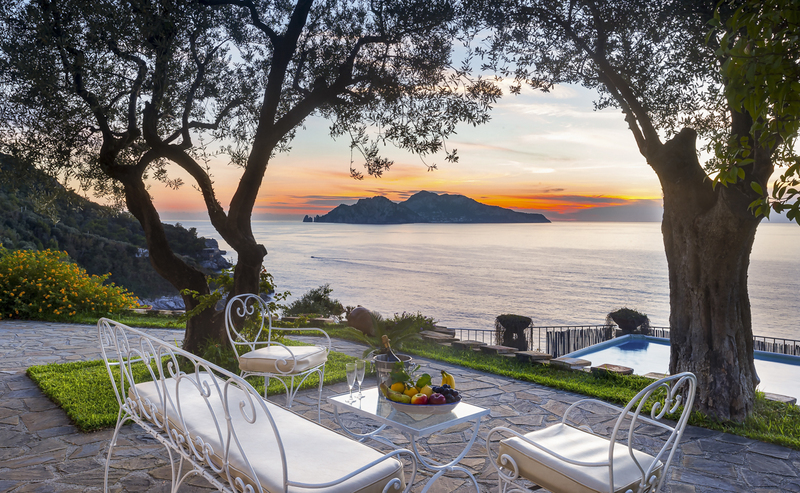 Marciano enjoys a spectacular elevated position looking out over the Gulf of Naples, located between Massa Lubrense and Termini. This small village has two beaches, Capitan Cook and Baia Delle Sirene, both of which have restaurants nearby. 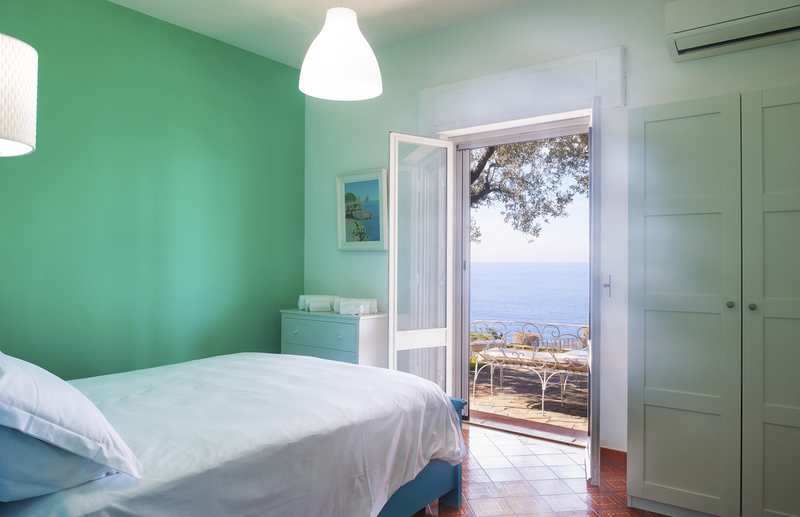 It will take around 20 minutes to drive to Nerano and the pretty beach at Marina del Cantone, or to the city of Sorrento, which continues to enchant its many visitors with history, culture, cuisine and modern-day entertainment and shopping. 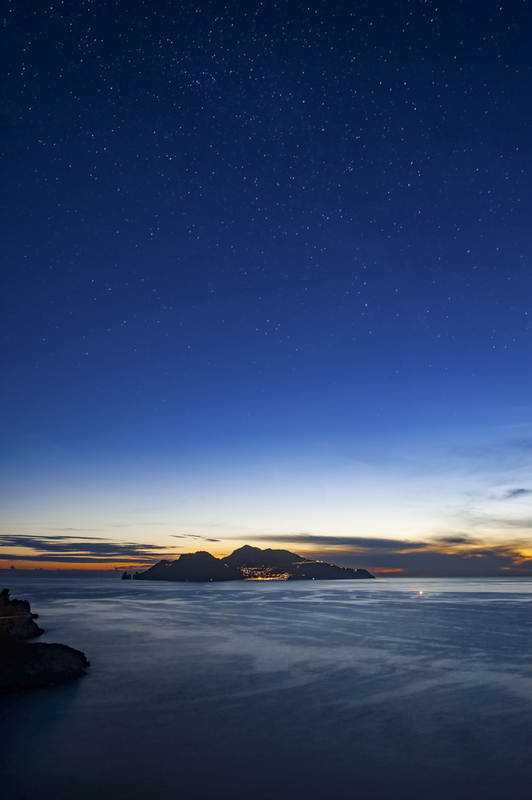 More beaches can be found a little further north of Marciano, at Marina di Puolo and Massa Lubrense, with views of the islands of Ischia, Procida and Capri, and boat trips to discover them available at various points along the coast. 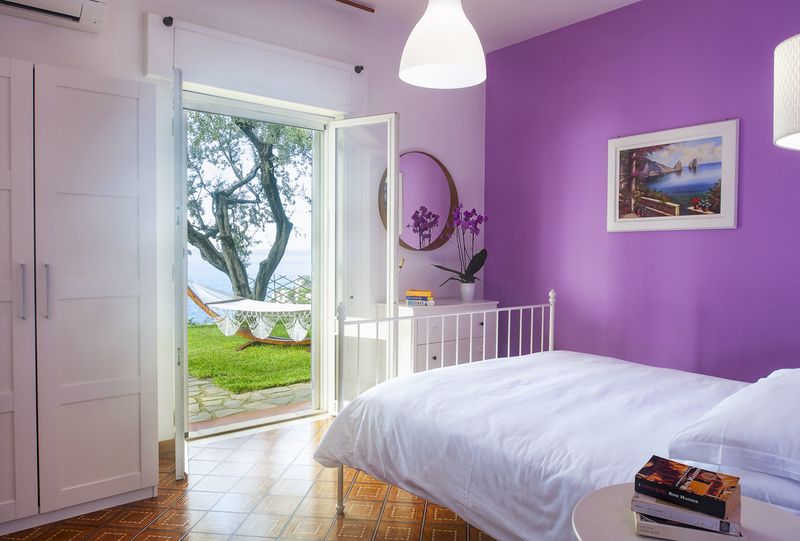 Heading further inland, you’re also within striking distance of Pompeii and Mount Vesuvius, among the area’s true landmarks, and around an hour’s drive from Marciano. 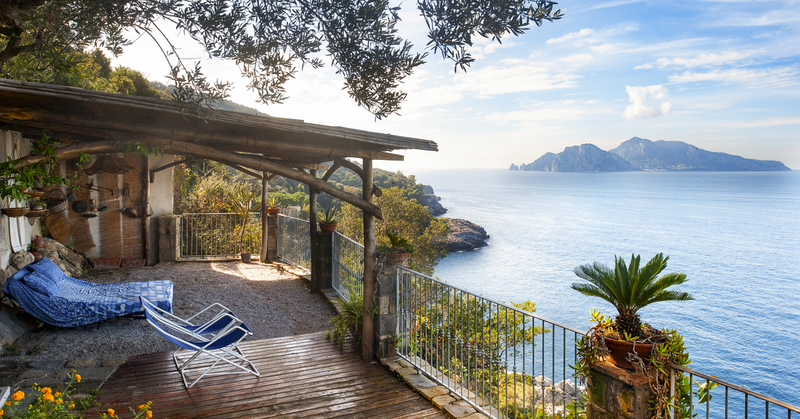 Such incredible excursions make Casa Mari the perfect choice for a Sorrentine break.